Participants will visit Contract No. 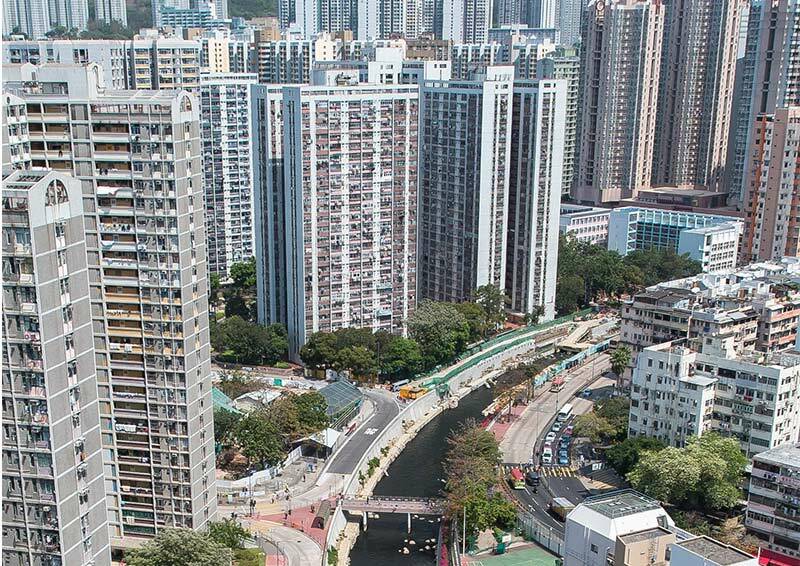 DC/2011/04– Kai Tak Development – Reconstruction and Rehabilitation of Kai Tak Nullah. It will be a technical site visit for young engineers to learn about the reconstruction and upgrade of Kai Tak Nullah (KTN), which would be revitalised into an attractive green urban river corridor to provide space for leisure and public activities serving the community. The project aims to improve the drainage capacity of the existing KTN to withstand flooding with a return period of one in 200 years and mitigate the flooding risk to the surrounding areas. Also, it will upgrade the existing KTN to a green river with special character and townscape features. The project began construction in January 2013 for phased completion by 2018. When visiting Kai Tak Nullah, participants will explore and identify the technologies applied in the works. The event will be cancelled and rescheduled to another date in case of Thunderstorm; Amber or Red or Black Rainstorm Alert; or Typhoon Signal No.3 or No. 8 or above being in force by the Hong Kong Observatory at or after 7am. It may also be cancelled because of safety or other reasons.